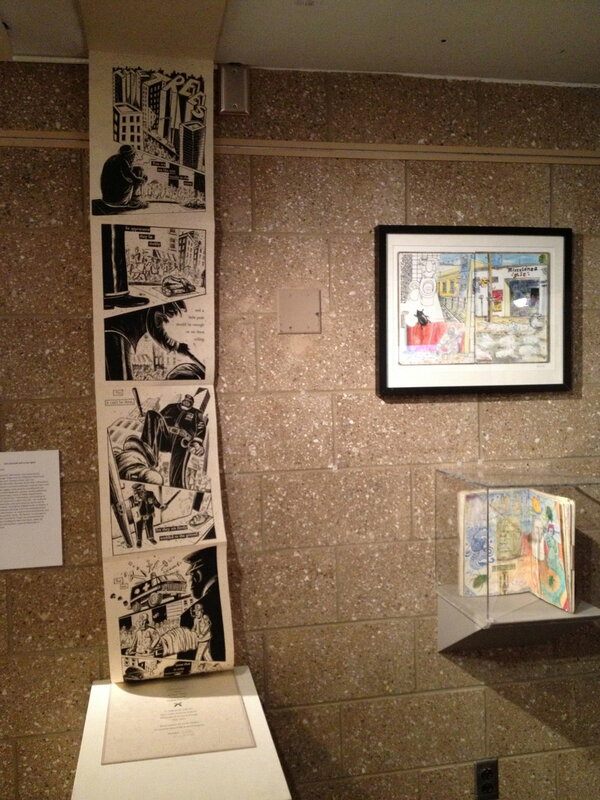 In January 2014, Rutgers-Camden’s Stedman Gallery becomes a haven for artists displaying comix versions of their life stories through a marriage of drawings to text. Also featured are artists with sensibilities kindred to the graphic novelists but working in other mediums including sculpture, painting, mixed media, and video. Transgressing societal conventions, these artists tell of horrific childhoods, mental illness, sexual exploration, family history, wild adventures, unconventional friends, and alter egos. Guest curator Cheryl Harper selected original drawings from the graphic novels and complementary works in other media by artists who reveal their innermost demons.